Ever since I was little I have been eating this rice pilaf. It is one of those family recipes that started with my great-grandmother (also Marianna) and then was made by my grandmother, my mother and now me. 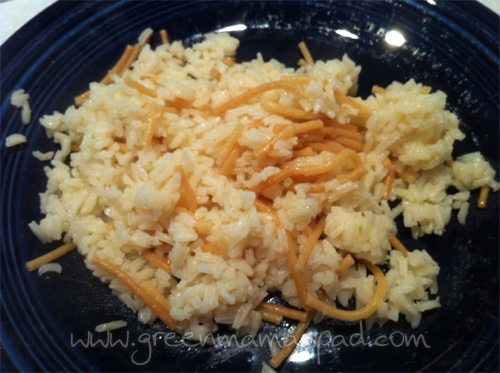 This is a super easy and basic recipe with nothing fancy, but my kids love it. And that alone makes it a winner in this house! This makes a great side for roasted chicken and many other chicken dishes. As is the case with most family recipes, many ingredients are eye balled and have no exact measurements. I use white long grain rice so be sure to adjust your cooking time and liquid quantity if you use another rice like brown. 1. 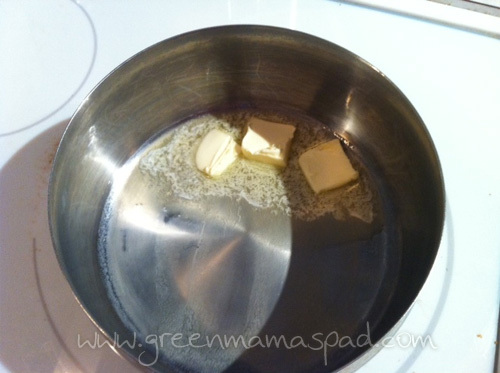 In a medium saucepan, melt butter over medium-low heat. 2. 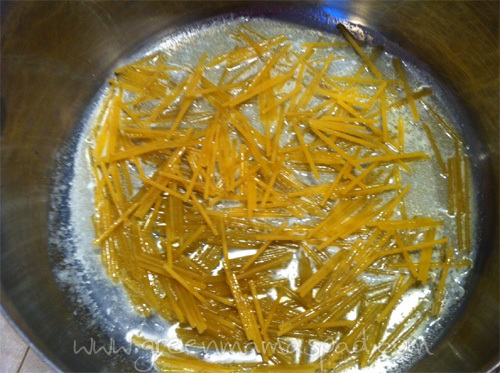 When butter is completely melted, break spaghetti into one inch pieces and add to butter. 3. Cook spaghetti till lightly browned, constantly stirring to avoid burning. 4. Add in chicken broth, increase heat and bring to a boil. 6. When done, fluff with a fork and serve. This would also taste yummy with fresh veggies like peas, carrots, mushrooms, etc. 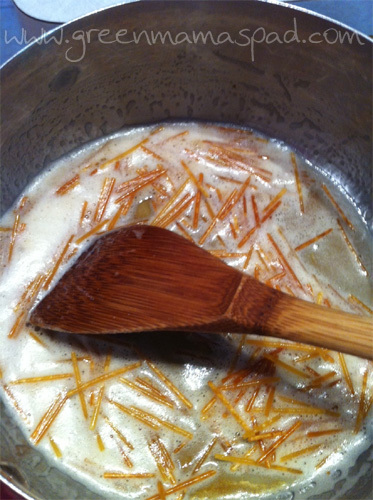 Stir constantly till lightly browned. 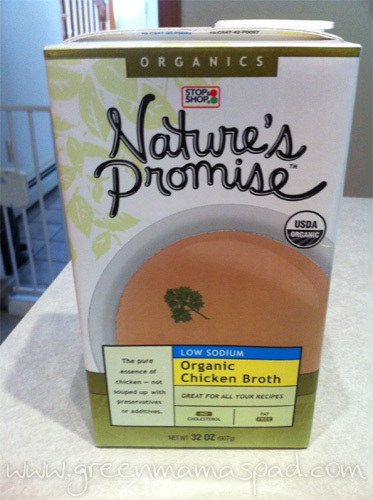 I prefer organic, low -sodium chicken broth. 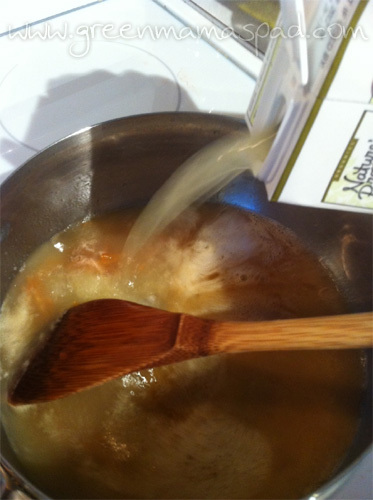 Pour in chicken broth, raise heat to medium-high and bring to a boil. Reduce heat, cover and cook for 20 minutes. Fluff and serve. Yum! Looks great ! I wish I could make more rice dishes - picky hubby! 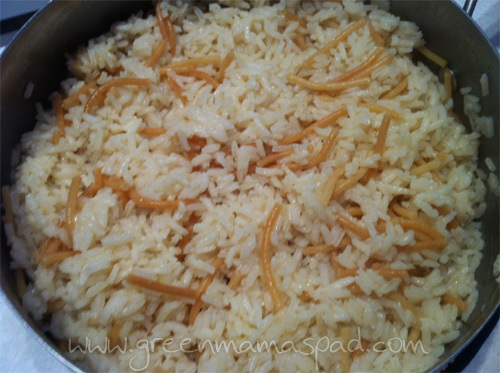 I've been making rice pilaf for a few years....homemade is SO much better and just as easy as the box junk! This looks so easy to make, thanks! I love rice pilaf but have never made it other than boxed. I can't believe how simple it is nd cannot wait to try it with some fresh broccoli! Yum!